click here to send us your story along with two images and a link to your website. I started this year employed in a full-time job working 9-5, earning an average salary, with a 40-minute commute each way and very begrudgingly having to rely on my ex-husband for childcare and to do the school runs on what should have been my days with my son. I was missing out on time with my son, just about covering my bills and had no way of ever paying off my debts or saving for the future. A familiar picture up and down the country I’m sure. I decided enough was enough. Towards the end of 2016 I had started a tiny freelance opportunity in my spare time, writing content and copywriting for a few clients, at the weekends, really just to see if I could actually work for myself. It started out earning me around £100 per month to help pay the bills. But as the stress of work, travelling and not seeing my son, really started to take its toll, I decided to make a push on the freelance side to see what I could do. I knew I needed to be there for my son, but I was also adamant that I didn’t want to go part-time in some dead end low paid job. I’m too professional and experienced for that! So I decided the only option was to make a business that worked for me. And it did. Gradually it started to gain momentum. 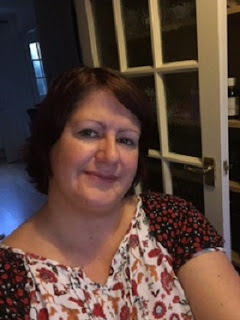 I was picking up more and more clients, so, by the end of March 2017, I took the plunge, quit my job and set up my own freelance writing business – IGW Digital – working from home full-time. I explored options to add in web design to my business but soon realised that was far too competitive and there were way too many people already doing it who knew a lot more than I did, so I pivoted the business back to being purely about writing, and that has worked really well. I undertook several online training courses, and watched various entrepreneur webinars and training videos online to help me get my business growing and thriving. In June this year, for the first time, I earned more working for myself, than I did in the highest paid job I ever had as a PR Account Director! It was a real milestone! And July is set to be a record month again! · Started picking up and dropping off my son to school – the most important change!! When I sit down and look back over the past year, from where I was in January to where I am now, it seems just crazy! So much has happened in such a short space of time and it’s really nice to sit back and reflect on it all as it is very easy just to take things for granted. I also have lots of plans for the rest of the year, including ways I can support other people who are starting up their own businesses, by offering an initial content package to get them off the ground with their own business, through marketing and promotion. I’ll be exhibiting at an event for mums in Birmingham at the end of the year, and I’m hoping to secure some more large corporate clients as well. I’m working with an amazing female entrepreneur business coach at the moment too who is super inspiring, so it’s all very positive! On a personal level I am planning to take part in the Great South Run in October, bearing in mind the last time I did any running before now, was at school many years ago! I like to challenge myself! Great change is possible. These last six months have been hard, stressful and emotional, but also absolutely wonderful and I am grateful every day for the extra time I get to spend with my son as a result of being brave enough to step off the corporate hamster wheel and make my own way in the world. For me, the business highlight of the past six months was actually getting my business logo designed and sent to me, as it really brought home the fact that this company was now real and it does actually exist! The personal highlight of the past six months was picking my son up from school myself, for the first time since he started school in September last year. Absolutely priceless and wonderful for me to be able to do that, while still working full-time. So, a lot can change in just six months, and I’m really super excited about what the next six months will bring! Hi! I’m Cheryl. I’m 38, mum to Emily, 17 and Poppy, 15 and I’m what you may call an accidental entrepreneur! After completing A-levels, I never really knew what I wanted to do when I ‘grew up’ and it was time to make big decisions. My mum told me to go for a job in banking because that would be ‘a job for life’. Ahem! Whilst it didn’t turn out to be a job I’d do for eternity, it is where I met my husband so there is that J. I stuck with banking for many years until I was made redundant in 2012 and suddenly found myself in a position of not knowing what I wanted to do. The only thing I was certain of was that I wanted to be my own boss and not have to apply to have time off to go on holiday with my family. I’d always had a creative flair. I’d make handmade cards, scrapbooks, those kinds of things, so immediately after being made redundant, I trained to do gel nails and nail art. Working from my home salon, a chance encounter with a new customer changed my life. 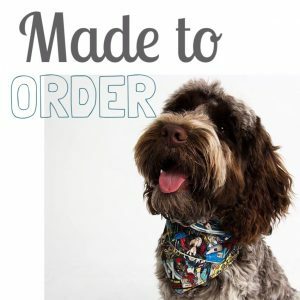 The customer had her own dog walking business and was looking to sell it. As she casually mentioned it, I stopped her and told her I’d buy it – there was no thought, it just seemed right. My husband (the bank Manager) ran the numbers and said if it was something I wanted to do, I should go for it. My reasoning was strange…I’d always wanted a dog, my husband didn’t so I’d get my doggy fix walking others. A year into it, it was going brilliantly. 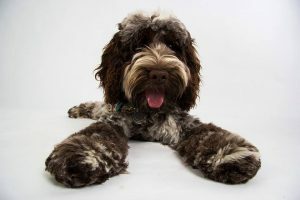 I was making profit and my husband had joined me on a few walks and fallen in love with a Cockapoo - enough for us to get our own! Baxter came along in January 2013 and he is my world. I continued dog walking, even doing a spate of home boarding but as I got busier, I started to realise I was having to leave my little dude at home while I walked other people’s dogs. I felt like a bad dog mummy. I was losing motivation, always feeling tired and wondering how long I could keep up walking miles upon miles every month. I’ve always spoilt Baxter. People (mostly my Mum!) would say it’s because my babies were now independent young women and I needed something to Mother J. I would spend ages sourcing things that were not from the local pet shop and were a little bit different. One day whilst looking for a quirky dog tag, I decided it would be cheaper to just ‘make one myself’. How hard could it be? Literally a few days later, I’d spent 100x more than the cost of a tag on equipment to make my own and decided I would make and sell them via Facebook. My husband set me up with HMRC, did all the other paper work (because he’s a pro and more importantly, I hate it) and I was off! Baxter’s Boutique was born. No business plan, no research, just absolute confidence that I could make this a success. Failure didn’t even cross my mind. own workshop. Work doesn’t feel like work. I have Bax asleep at my feet as I write this and life is good. My family have been huge supporters and have helped enormously. The advantage of older kids is you can pay them to do anything and sticking branding onto envelopes is easy….for the right fee! As the business has grown, my husband has become chief book keeper, packaging King and advice guru when I have a wobble. I love what I do! Even to the point where I was sewing collars on Christmas Day. It doesn’t feel like work and I find myself doing work type things without realising I’m technically working. Yes, I have to be organised to juggle all the balls in the air. Yes, I don’t work 9 to 5 and yes, sometimes it can be stressful BUT if I need to take Emily to get her braces checked, I can! If Poppy is in the school play, I can go and watch and if I want to take Baxter for an extra-long walk, I have the freedom to do so. I am my own boss and don’t have to ask permission to do my ‘mum tasks’. We are currently (it feels like!) touring the country visiting Universities for Emily. As the girls start to think what they want to do in their lives, I am too. 40 is the new 30 isn’t it? J If both girls finish school and go to University, I’ll be early 40’s and my nest will be empty. The dream is to have staff that can help make the products and I can continue to build the brand - preferably somewhere by the coast. Evening walks along the beach with Baxter and my husband after a hard day at work seems pretty perfect to me. There’s no point working long hard hours if you can’t enjoy the rewards with your family and that is exactly what I intend to do. I became an entrepreneur by accident because I wanted the work/life balance and I wouldn’t change it for the World. Having your own business mirrors parenthood in many ways..
Hi I'm Helen and I’m a Clinical Aromatherapist, Leader and Independent Consultant for NYR Organic, a mum, wife and occasional haphazard baker. The order of these things differs on a regular basis…and that sums up the road a mumpreneur travels on. It’s a bumpy, ever changing landscape full of juggling, self-discovery, long nights and trying to be everything to everyone often all at the same time. Bumping between either feeling you are failing your family or failing your business. Striving for more but attempting some balance on the tricky tightrope. I actually became self-employed before I’d had my daughter. I’m eternally grateful for this, because in all honesty I’m not sure I’d have had the nerve to do it otherwise! I’d previously worked in the voluntary sector and worked up into management, but towards the end of my career I’d retrained as a Clinical Aromatherapist. I’m not a natural risk taker, but I wasn’t happy at work anymore and with my husbands supportive words “Don’t look back when you’re older and say you wished you’d done it”, I took the plunge and retrained. Somehow it wasn’t hard to decide what to do, as I studied and set up my aromatherapy business whilst continuing to work. I could have continued in this safety zone for years, but when we had to take some drugs to aid ovulation (I wasn’t falling pregnant) I knew I had to bite the bullet and leave. It was hard to say goodbye to the stability of an income, and lovely colleagues, but it was an exciting challenge. I’d fallen in love with aromatherapy and massage and felt I had ‘come home’. Finally, I understood what others said when they felt their work was a vocation. I was convinced I was meant to do this and to work in this way. I stopped massaging around month 8 of my pregnancy. 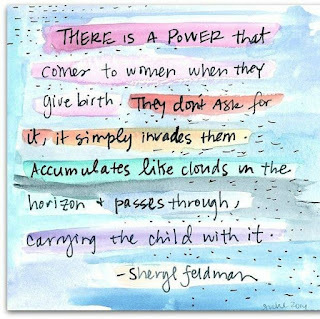 Luckily I bloomed in pregnancy but found being mum to a small, colicky baby in my late 30’s, when my husband was working long hours, was a challenging, wonderful, exhausting and bewildering rollercoaster. The biggest challenge was how to return to work. When you’re self-employed maternity leave is more financially challenging. I listened to friends bemoaning that they weren’t getting paid full pay anymore but I knew they were still getting a very good level of maternity pay I could only hope for but never achieve. On becoming a Mum I’d somehow cut some ties to my past and so, months down the line I wasn’t using essential oils at all. A year later unsurprisingly I’d been given a diagnosis of Post natal depression. I had no idea how I would get back into my groove and felt like a failure. It was when my daughter was 18 months old, I looked into becoming an Independent Consultant for NYR Organic and selling the gorgeous blue bottled Neals Yard Remedies organic products. I’d visited the iconic shop in Covent Garden as a teenager, and loved the British family run business and its ethical ethos around sourcing, sustainability and using no nasties in their skincare and herbal remedies. Whilst I’d worked with a different direct selling firm before, the products hadn’t all been vegetarian or vegan, nor were they made in the UK. It simply never sat comfortably. This felt different – and I was different. I wanted to succeed and felt passionately that my daughter should grow up seeing that she could make something from nothing and create her own business if she wants to. One of my proudest moments was realising that my daughter liked the idea of selling things with me, that she understood that we use nice smelling products that don’t have nasty chemicals in them. One day she even told me she would like to do what I do….whether she does or not is irrelevant. As long as she is happy in her work, I’ll support her, but I want her to know she has choices in this ever changing world. feel for their expectations, what they do an don’t want to do as well as what they can expect from me. With both parts of my work knitted together I feel my business is more rounded and I am more satisfied. I get to do the one to one work with NYR customers or massage clients and see people reaping the benefits. I also get to work with and support my amazing team and utilise previously learned skills and it’s a privilege to see peoples businesses grow. As my business has grown, I’ve become more confident in my own abilities. My biggest tool now is to trust my intuition as I know it serves me well, and to hold the faith. I’ve come too far, and worked too hard to ever go backwards. As my team increases and my appointment book does too, I’m reminded that having your own business mirrors parenthood in many ways… you make something wonderful and watch it grow. Just as parenthood is full of excitement, frustration, wonder, pride and moments when you think “I had this all figured out and now its changed again” this is true of your business too. Being a mumpreneur doesn’t come with a handbook we just do the best we can, but just like being a parent, I wouldn’t change it for the world. It takes a car driving at one hundred miles per hour approximately four minutes to stop. For this mum of three it’s considerably longer. Current calculations suggest about 72 hours. It’s that time of year for our family holiday. We pack up the car to bursting point, and drive for the most painful amount of time to the South of France. We think it’s totally worth it, but there are times during this marathon journey when I could easily cry and or spend a disproportionate amount of time craving sleep in a cool horizontal position. This year we decided to go for the all out extravagance of an overnight stop in proper accommodation because we now have two small children, rather than just one large one. The large one was backpacking from Barcelona through the Pyrenees with my brother to meet us there! So we stopped overnight in the blistering heat of Le Mans. Which apparently is very famous for Formula One. Fast cars and not the home of Aptamil. It was a great relief to stop somewhere with beds, rather than park, exhausted in a service station and sleep for a few very uncomfortable hours. Anyway, thanks to AirBnB and the lovely hairdresser Francoise who rented us his studio apartment, we were able to bed down for the night. Well, in theory at least, the fact both children were wide awake and wild meant that little actual sleeping happened. But at least their squeals drowned out the noise from the party going on next door. And my sleep deprived sobs. Kudos to Francoise, he didn’t even flinch when I had to hand him some vomit covered sheets the following morning courtesy of youngest child, he just brightly offered to make us coffee. Anyway we arrived safely in the hot Pyrenees the following evening, to a ramshackle old farmhouse, with a garden filled with play areas, a massive paddling pool and fruit trees. I am a lucky person. I know this. No day goes by without me giving a nod to the wise old sky. As I write this on day two, I am listening to cicadas chirp, and the moonlight is shining down on small statue illuminating it’s white stone, curves and the rowdy rumpas of a hot and balmy village fete is wafting along the pine scented breeze. And yet, despite a couple of glasses of velvety red wine, I have checked my work emails, posted photos to Instagram, cleaned a kitchen and the floors of three rooms, done two loads of laundry, cooked a family meal and been grocery shopping. 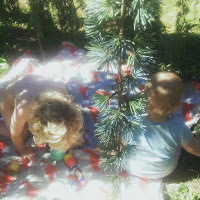 I have also played cars with my nearly three year old, sat on a swing with my one year old, read stories to both and picked tiny sun warm, sweet plums straight from the tree. With little hands removing tiny stones and waving away the wasps. Despite all of that I still feel like I haven’t done much today. Now a strange thing has happened in the last couple of weeks. I have slowed to the point of stopping completely. I haven’t been entirely sure how I am going to start again. I have loved the slowing and stopping. I am now dreaming about staying slow and stopped. Well, I was until I read a quote online which warned our daughters of ‘not growing a wishbone where our spines should be’. Thus, with that wisdom and feisty optimism I shall happily return to the things that fill my days (children, job and baking) and work hard for me and my family and live the best life. So to ease myself in there are bags to pack, picnics to prepare, floors to clean and a blog to write. I’m writing this in a rare quiet moment while my two young boys (19 months and 5 weeks old) have their afternoon naps and I can’t help reflecting on how much my life has changed in the last couple of years. My ‘mum to mumpreneur’ journey has been a fairly fast-paced one, and the circumstances that led to me choosing a freelance career are sadly all too common amongst mums returning to work. However it was the catalyst I needed to finally make the jump and do what I’ve always wanted to do; work for myself. Two years ago I was working full time, heading up the Marketing Communications team for Land Rover UK. I loved my job - I had a great team, the work was challenging and fun, but the days were long and so was the commute. I had our first little boy in January 2015 and I fully intended to go back to my job after 12 months ‘off’ (don’t you love it when people describe maternity leave as a holiday. Pah!). But as the months passed by the reality of juggling a young child with a demanding career just wasn’t going to work. With a daily commute of 2.5 hours and needing to rely on full-time childcare for the wee man, I calculated that I would spend approximately zero hours with him each day. That wasn’t a work/life balance that I felt comfortable with. Where was the ‘life’ part? There needed to be another way…. 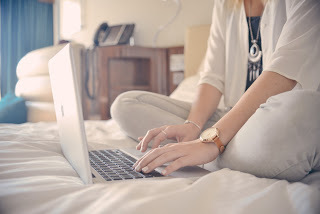 I stumbled across Digital Mums when reading a blog on Selfish Mother by a #digitalmumtobe and was instantly intrigued. This inspiring social enterprise was set up with the sole purpose of upskilling professional mums to enable them to work as freelance Social Media Managers from home - who better to manage business’ social media channels than an army of uber-efficient, multi-tasking mums? The mission of Digital Mums spoke to me so strongly that I found myself completely hooked; clicking on endless links, searching campaign hashtags, stalking following Digital Mums graduates (suitably named the ‘#DMCollective’) and being completely inspired by their stories. It was hard to not want to be part of the movement. I had worked for over 12 years in Marketing and PR managing multi-million pound campaigns for big brands; this would be a fantastic opportunity to take that big brand knowledge and experience and apply it on a smaller scale - and all from home to boot. This was the answer! The online training was intense, and working for a client delivering a real-life social media campaign as part of their innovative ‘live learning’ approach was daunting at first, but I relished getting my brain whirring again and thinking about something other than nappies and nursery rhymes. 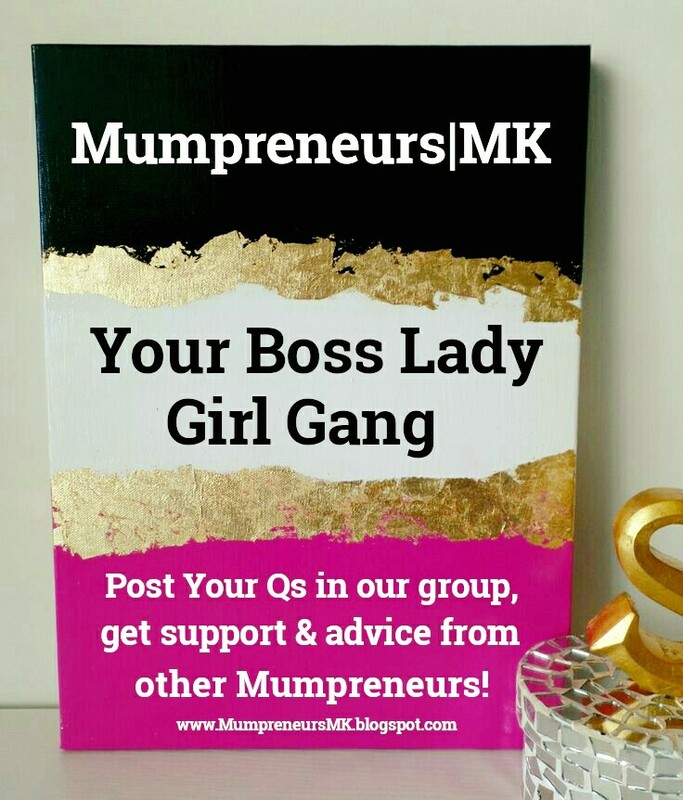 In March 2016 I came across the fabulous Bianca Chappell and was inspired by the Mumpreneurs|MK networking group that she had established to support women in business. When the opportunity to be a Founder Member of her Members Club (The MMC, or ‘Top Guns’ as she calls us!) came up, I jumped at the chance. 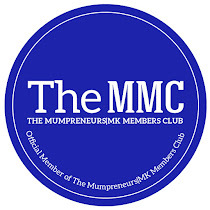 The MMC is a vibrant community of businesswomen who are serious about the development of their businesses and is a fantastic group to be part of to connect, support and promote each other. Not only do I learn something new each time we meet, but being in their company I feel inspired and motivated to build the best business I can. It’s amazing what a bunch of women can do when you put them in a room together! 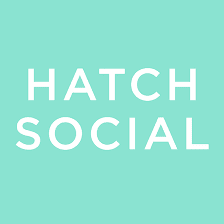 In April I set up my own social media management business, Hatch Social, to help businesses navigate the complex and fast-moving world of social media by offering a completely bespoke service. Whether businesses want full social media support, training for their team so they can manage their social media channels themselves, or an extra pair of hands to deliver a social campaign, we can help! 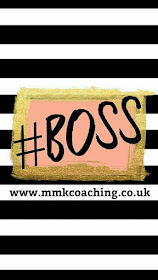 By May I took on my first paying client (it really is all about the hustle!) and by the end of July 2016 I was a fully fledged, official #DigitalMum and part of the Collective. Two weeks after ‘graduating’, our second little boy entered the world. I had met my deadline! Being a freelance Social Media Manager fulfils everything that I have strived to balance - to work in a profession that interests, challenges and inspires me, plays to my strengths and gets my creative juices flowing again, whilst not neglecting my most important job of being a mummy. So what has this year taught me? I’ve learned that great things happen when you get a group of motivated, like-minded women together. 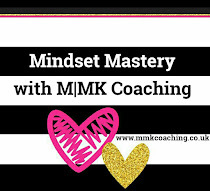 I’ve been completely inspired by the women I’ve met in the last six months in both the MK Mumpreneurs network and the Digital Mums community. I truly believe that I couldn’t have got where I am right now without the support, encouragement and knowledge-sharing that these groups have provided. I feel really proud to be a part of both of them. My advice to other women who want to step out of their comfort zone and to achieve a work/life balance that works for them? Seek out like-minded people who will support you on your journey and believe in yourself. And most importantly of all, just get out there and ‘do the #hustle’. I had a busy year full of surprises in 2015! I had discovered I was pregnant with my second child during a stressful process of selling (or at least trying to!) the cramped 2 bed coach house my partner and I were living in with my son, and step son and buying our perfect new home. As if that wasn't enough to deal with, I was then given the news that I was going to be made redundant from my role as a Creative Producer, at a local arts charity. I had been seeking a new challenge for a while, and yearned for a career that allowed me to help others, become self – employed so I could work around my young family, and gave me an important purpose -the ability to make a real difference. I am a great believer that everything happens for a reason, and although stressful at the time, the universe was conspiring in my favour. I felt it was really important not to let the stress of life and work get to me during those precious few months of pregnancy, so I poured all of my energy into the growing life inside of me. It felt like the one thing I had a certain amount of control over. 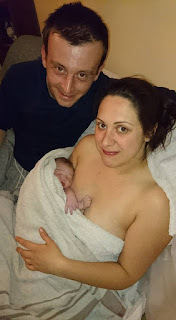 I had a really positive water birth in hospital with my first son, and had done some reading around fear and birth, and how it can have a huge impact on birth outcomes. This time, I wanted to be even more prepared and have an even better experience. We had won through the battle of home ownership and built our wonderful new family home together, and I decided this is where I wanted to birth my second son. 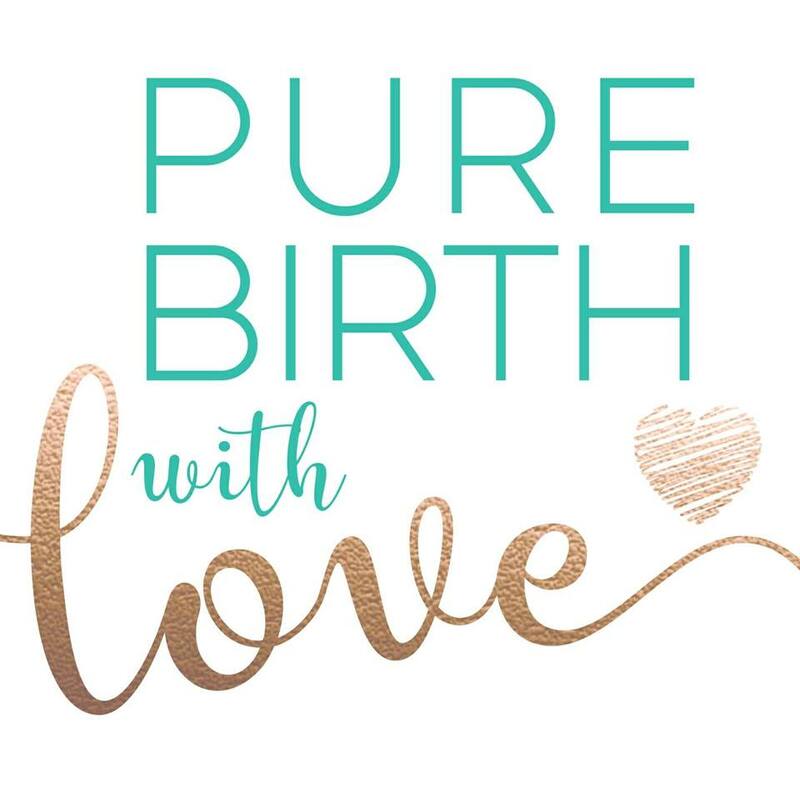 I had previously been to a hypnobirthing taster session, and instantly felt a connection to this way of birthing, so decided to sign up to the full course. I was totally engaged with the course from the start, everything made so much sense with a huge amount of scientific evidence to back it up, that I couldn’t believe this wasn’t being taught to all mums to be! A passion ignited in me and I felt so confident that the techniques would work that I decided to train as a practitioner myself. Again, as if the universe was nudging me towards the path, there just so happened to be a new practitioner training course, using a brand new programme recently devised by Jenny Mullan (one of the UK’s first Hypnobirthing Practitioners) running twenty minutes from my house in just a couple of weeks! All the other courses were miles away and I didn't fancy being far from home at 35 weeks pregnant. I decided the universe had sent me on this journey for a reason, and the timing was too perfect for me not to run with it! So I signed up and here I am! It is now September 2016, and I birthed my beautiful baby boy at the end of May using these techniques. Well, what can I say, it was the most amazing birth I could ever have wished for. 2.5 hours, no interventions, no medication, no travelling, just pure hypno bliss, and a beautiful baby at the end of it. 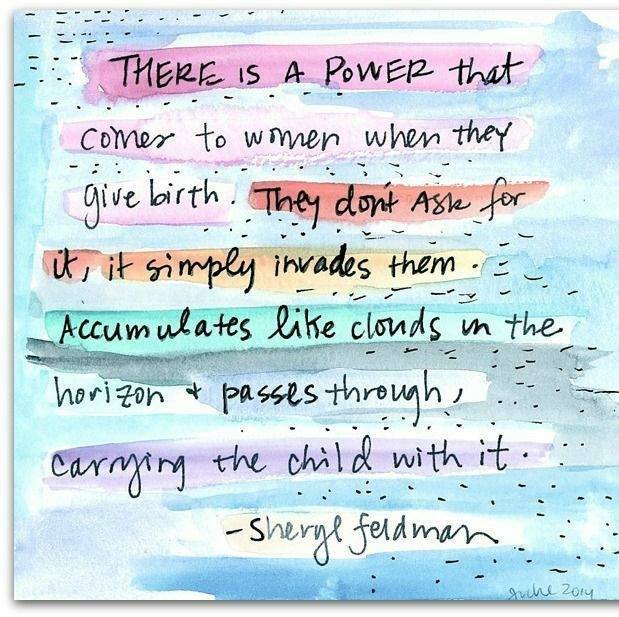 I am so excited to eradicate stigma, communicate and teach the latest scientific evidence and knowledge around hypnobirthing, and hypnosis in general, and show everyone why it REALLY works! And it works for any type of birth, it doesn't have to be a home birth, you can use it in hospital too, even if it doesn't go to plan and interventions are necessary, it gives the mother and her partner, the skills and knowledge to feel calm and safe and still walk away having had the most positive experience. The course is packed with history, scientific evidence, neuroscience and the physiology of the pregnant and birthing woman, and that's before we even get going on the amazing breathing and relaxation techniques and practise. I can't wait to share it all, with as many women and their very important birth partners as possible ! 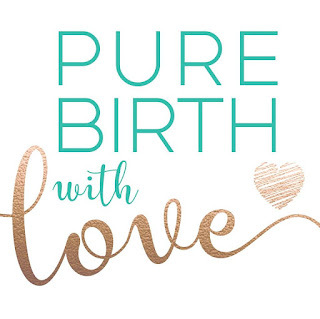 I’m aiming to start a wave of positive birth stories for everyone, and feel truly blessed to have been directed to this perfect opportunity that not only ticks all of my career goals, but will help others tick all of their birth goals and change the future of birthing. Like many other mums I speak to and come across, I launched a business instead of returning to my city job. I have no family near me, we moved out of the city as I didn’t want to have a baby there so the commute would have been 3 hours round trip and childcare is expensive. Of course I didn’t fancy leaving my Molly moo with somebody else for 11 hours a day. Then cutting my hours down would have been useless, even just one day cuts 20% off your wages. It just wasn’t right for me. I calculated that after all bills and childcare had gone out, even working for 5 full days a week I would only be left with £600 cash in the bank, and that is with not a half bad salary. My thoughts were, if I can’t earn £600 a month on my own then what the heck was all my 14 year (in 2014) work history worth. So that was my target initially, I just needed to earn £600 a month to make me satisfied that I had myself a much better family/work balance. I started to have a think about what I could do as a business. It really only came down to one thing. In the year 2000 I left school at 16 and luckily for me started an apprenticeship, it was with an exhibition organiser and that is where I first caught the ‘event bug’. Since then I had worked in event roles then later moved into Marketing to spread my wings a little. So 14 years on, in 2014 I knew 100% that I could organise events as a service to businesses. So I started to plan Little Fish Event Management with a launch date of 2nd June 2014. I started the only way I knew how, with my marketing mind-set which was to research and do a marketing audit to get to grips with the event industry. 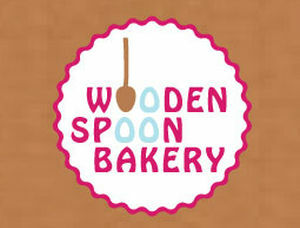 Whilst I was still on maternity leave I planned my website, had my brand sorted and had some sort of target client list. I only had 2-3 months’ worth of funds to keep me going until I would have had to look for a ‘real’ job. So I needed a client and fast. I found a childminder locally who was very flexible and I put my Molly into childcare for only 9 hours a week when she was 9 months old. That was just enough time for me to make phone calls, attend any meetings and to network. I secured my first client in August 2014 which just so happened to be the Skills Funding Agency (I know pretty amazing stuff). I was to help them organise two regional award ceremonies. 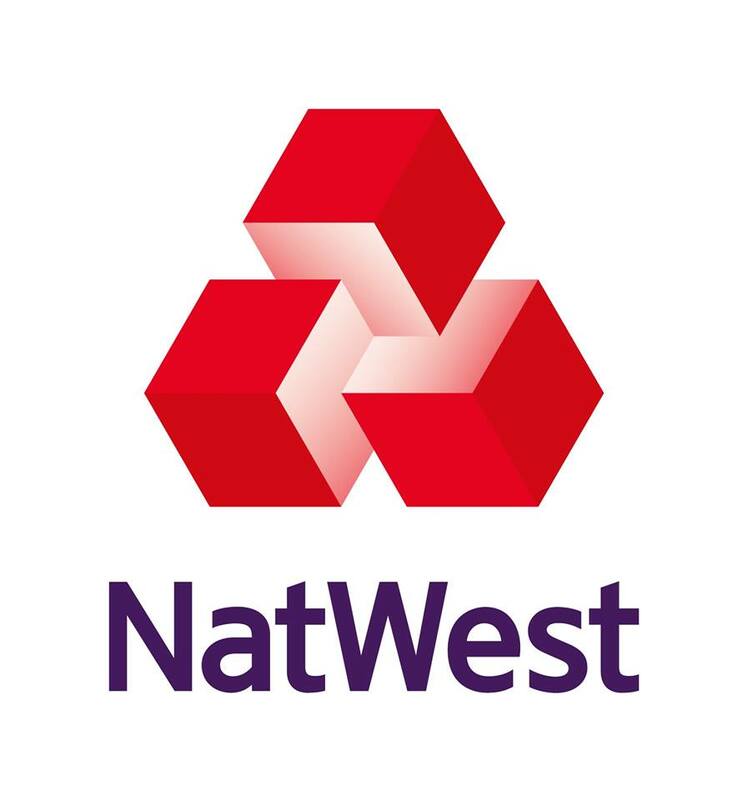 I targeted them because they run the National Apprenticeship Service, I contacted their press team as they often have direct contact numbers on websites rather than the reception or customer services numbers of larger organisations. I wanted to be involved with the National Apprenticeship Service because I am such a huge supporter of apprentices because that is where it all started for me so I was always going to try and get in with them, so I gave that press number a call. As luck would have it my name got referred internally, then I had a call from a lady in Marketing who called just so happened to be in the process of organising events and she needed to get 3 proposals in to follow procedure. WOW I actually couldn’t believe my luck, I think she thought I had worked with that person who mentioned me internally of course I didn’t admit it was all from a cold call. I submitted my very first ever Little Fish proposal which was very much a ‘finger in the air job’ . I had done my research but it’s hard to price yourself especially trying to gauge how much time the event would take me to organise, but I got to where I felt was fair and pressed send. I eagerly awaited the news and unfortunately I was actually informed that I hadn’t won and I was just soooo disappointed I think I had a little tear after that news, and that was the very first time I had experienced those emotions and that business roller coaster. One minute I was up and excited then the next I was really blue. BUT then something unheard of happened, about 3 days later I had a call from her colleague because, you will never believe this…..the original company had dropped out and I was next in line. So I was hired after all that, I won my very first proposal and it was with the Skills Funding Agency, blimey how about that then hey. I can still remember exactly where I was and what I did. I bounced off the ceilings I was soooooo happy, I was alone with no-body to hug ha ha but blimey I was over the moon and had a little tear of joy (I am very emotional person ha). About a year after launching Little Fish, I started thinking about my own event idea. This was never part of the plan originally but I vividly remember the conundrum I faced trying to work out what the heck I could and should do after my maternity leave. And as I had now met new mummy friends and friends had started to have babies I discovered I was not alone. Every single mum I knew, who had a career was under a lot of stress about deciding what to do about their work situation. I had also gone through the experience of trying to negotiate terms to return to work, then looking at alternatives, then coming up with the plan to start a business and then actually managing to run a business. I had started to make contacts and see first-hand, that there actually really is so much support out there for mums who do want to start a business or are finding it difficult to know what to do next. So I had a little’ light-bulb’ moment, events are my thing. There is a heck of a lot of support out there and a lot of it is delivered online or through smaller networking events. I thought how about organising exhibitions, outside of the huge national exhibition centres and actually bring all this support, advice and opportunity to mums in their local regions through face-to-face events. So I got into planning mode again and started to do my research to find out if there really was a need. I always start with research and a marketing audit so I can get a lay of the land. Turns out organisations would exhibit and mums would visit. I actually had the idea around Feb/March time 2015, I emailed Lucy at the end of March as she is a freelance graphic designer which I needed to bring my idea to life. I had to have a logo, brand colours and a theme all created from scratch and I understand the importance of branding, look and professionalism it really means so much and should never be underestimated. (You can actually read all about that in another blog here and see my original artwork brief and Lucy’s returned brand elements. It’s actually quite awesome.) Anyway so the rest they say is history. The website went live in September 2015, I sold and organised the event and Lucy took care of our brand and together we hosted two events both in Hertfordshire in June 2016. I managed to secure amazing partners such as Virgin StartUp and Talented Ladies Club, we had over 52 organisations involved in total and we attracted almost 200 mums to come along. But the most amazing thing is we actually helped changed women’s lives for the better and how they feel about work now. And that is what it is all about, I really wanted to organise these events to actually make a difference, to help women with confidence, know-how, and offer inspiration. Our next step is to organise one more pilot event as we have learnt a lot of lessons with the first two so we are now organising our third event to be in Brighton in February 2017. I am also seeking and researching other locations so if February is a roaring success we can continue to organise more events in more local regions. Oh and we are preparing ourselves for Crowdfunding, so keeping ourselves busy I tell you. It has been a huge struggle to do both, whilst I was organising the Mums Enterprise Roadshow I also had Little Fish client events to deliver too. But Little Fish has kept Mums Enterprise alive, I wouldn’t have been able to organise them without Little Fish as that pays my childcare and obviously costs to keep both businesses running. Also the amount of pressure I felt on my shoulders delivering two events which came from an idea in my head. Well blimey it’s like nothing I have experienced before. I tell you the moment the last words were uttered at the second and final event of 2016 I was shaking, teary and had to have a little moment, it felt like I could breathe again. So much was riding on these events, it was very stressful, these events were such a risk. They came from an idea in my head and they came true, me and Lucy made them happen. I mean how amazing is that but also what amazing pressure. I must admit for a month or so afterwards my head felt like it was in a whirlpool, so many thoughts and emotions but we did it, and I feel immensely proud. Now I am hopeful I have found a business partner for Little Fish Event Management Ltd so we can continue to organise events for clients and I can hand over the reins a little as I cannot carry on managing both businesses, I need help with Little Fish that is for certain but I need somebody to come on board to treat it as if it were their own business, and invest time into it as we have organised so many amazing events for clients it really has potential. And for Me and Lucy we celebrated this week as we formed a separate company in Mums Enterprise Ltd of which Lucy is a shareholder so it is official, we are real life business partner’s yay! investment to be able to get our events noticed, to get the help we need to organise the number of events we want to do. That business will be ran as a social enterprise, we will keep investing profits back into the company so we can reach as many mums as possible and really truly make a difference to mums lives for the better, forever. As well as the local economies in which they are held. So there we go. I am just over 2 years into my business journey, I have a long way to go but I do also feel I have come so far. It’s really been and continues to be an emotional and financial roller-coaster. Now it’s time to really think my business models and how we can actually become successful. All this time so far all we have been really doing is surviving, now it’s time we think about thriving. Why did I start a business? Well I have always been self employed, working as a cleaner when the children were young. I started my family young so I didn’t have a career before a family. I was happy with a part time job whilst bringing up the children; it meant I could focus on my role as mum. 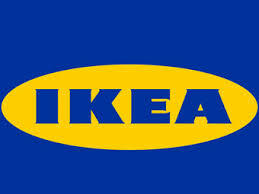 When the opportunity arose to join a franchise company I jumped at it. Unfortunately just 3 months later I was widowed with 3 children. I tried to make it work as I had become the main breadwinner, I put blood, sweat and tears into that business but ultimately it failed. I was in the wrong place at the wrong time. I decided to take time out to re-evaluate my life and what I wanted from it. On a whim I started an animal ambulance. My mother in law works in the vets and mentioned there was a need for one, I love animals why not? I really went into it with quite a blasé attitude of well I might as well. I had no business plan, no money, no contacts, no website, nothing. Just me, my car and a mobile phone. Bit by bit I built it up, a friend built a basic website for me. I started a Facebook page. Got some leaflets, business cards and posters done and started making the rounds, getting my name out there. 2 years on I am expanding, building the business, thinking about franchising and seeing just how far I can take this business that I started with the shrug of my shoulders. Business wasn’t always busy, some weeks I would have one animal in, how could this business make me a full time wage? I like to be busy and I like variety so when someone suggested beauty/holistic to me I thought it was a great idea. I have a spare room at home; I was off work for 6 months so why not do a few courses. Which I did one course lead to another and I found I developed an interest in the spiritual world. A friend was explaining the benefits of Reiki, so after some consideration I decided to go down the spiritual route, I am now a Reiki Master, and crystal worker. I started the animal ambulance first and trained for my other business alongside. It’s been hard, a lot of hard work. Many days when I have doubted myself, many days where I have thought I can’t do this. What do I know about business? Days where despite working hard to build both businesses I still find I don’t have enough work to bring in a full time wage. I think I have finally got to that point where I have a plan, a solid one, and a 5 year plan if you like. I am taking this whole being my own boss, running my own business a bit more seriously. I started slow, that what I had always intended, after being widowed my whole world fell apart, not only did I become a single parent but I had grief, mine and the children’s to deal with. I became the person in my house that does everything, earns the money, pays the bills, and runs the show. I was not equipped to do this. It has been a long hard road over the last 4 years. Days that have been so hard I didn’t want to get out of bed. Days when I sat in my dressing gown and cried, wondering how my life came to this? What had I done to deserve this? Days when I have thought it would just be easier and more secure financially to just get a job in a shop, its good pay, I would just go do my job and go home at the end. No thinking no worrying and getting paid an actual guaranteed wage at the end. But it’s not me. I march to the beat of my own drum, I always have. I may have lost myself on this journey through widowhood and life but I also found myself. I get up every day. I try every day, some days more, some days less. I don’t beat myself up over it if I don’t achieve as much on some days. I don’t beat myself up if I try something and it doesn’t work. I have worked hard to become the person I am and business to the place it is at. Yes I could look back and think I could of done this that and the other differently but I’m not much one for dwelling on whats already happened. All I can do from here is move forward, take what I have learnt about the business world and build on it. I’m proud of how far I have come. I’m proud I can use my life experience to help others. I’m proud to have 3 beautiful clever well rounded children. I am so thankful I have done it my way and started my own business. I absolutely love my job. I wouldn’t want to be anywhere else but where I am right now. A Mumpreneurs journey from adversity to International success. Metanomski grew up in Siem Reap, Cambodia and moved to India with her husband in 1997. When her marriage failed, she was forced to return to Siem Reap leaving her son behind. Upon on her return, her family disowned her. Having no work or support from her family, she experienced some very low moments. 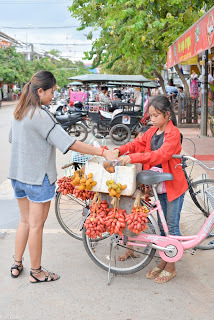 One morning as Metanomski rode through the Cambodian countryside, she spotted some small colourful seeds sprinkled along the roadside. Inspiration struck and she immediately saw their potential! Through trial, error, blood, sweat and tears she discovered how to drill small holes into the seeds in order to string them. From headdresses and necklaces, which wouldn’t look out of place in an art gallery, to unique earrings and bracelets, Metanomski’s keen eye for design is obvious, despite having no formal training. She now uses over 20 different kinds of sees found growing locally to create her delicate, elegant jewellery. 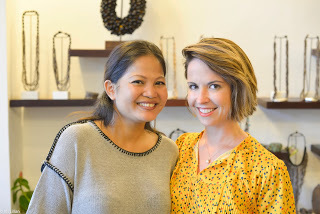 Metanomski’s success is testament to her natural entrepreneurial talent: she now runs two boutiques in Siem Reap, she wholesales to shops in France, Australia and Switzerland, employs over ten women from her village and is stocked in more than ten hotels & markets around Cambodia. 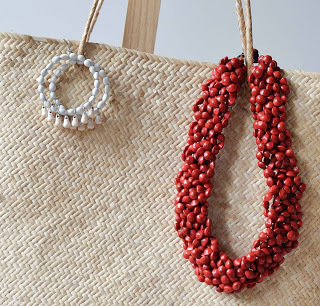 Graines de Cambodge jewellery is also sold online at Temple & Markets, an E-store selling products produced by small-scale artisans and social enterprises in South East Asia. Making that initial decision to be self-employed whilst raising a family is like signing up to a lifetime of multi-tasking without definitive time schedules. The future may be tentative and scary but the journey is highly exciting. I recently wrote a blog defining what ‘we do’ and what ‘we actually do’ when working from home. Just goes to show, multi-tasking is a mother’s natural talent! Do I tell them how, every morning I get up, get ready, wake my partner and four children up and try and nag them out of bed to go to work/school, whilst making breakfast, emptying the dishwasher and respond to half a dozen of email before 8am? Do I tell them how I make early morning phone calls to government departments, whilst trying to help my partner rescue a fish from drowning, after jumping out of our pond and landing on the net, as well as saying goodbye to our eldest child who is nagging to take his phone to school and respond to a client via email? Do I tell them how, I have to walk 3 of our kids to school, dropping them off at 3 separate classrooms, make polite chitchat with the teachers, update them on the latest change/clothing/missing shoe and dash home ready to start work only to remember that I forgot to sign one of their school diaries? Do I tell them how I have to put on endless loads of washing, whilst feeding the cat, put clothes away, answer the door to the postman, all whilst trying to manage a 5 page document that has a 1 day deadline? Do I tell them how I have to call the latest bill company up and tell them they have our details wrong and yes I live here, and yes my partner is a woman and yes she is on the bills too, in between conference calls? Do I let them know that I have to create content for industries I know nothing about but insist on me writing for them – researching technological jargon just to understand their brief? Do I tell them that I have to manage a house, cook tea, note down which activity the kids have the next day, week, month, manage my own diary, appointments, work schedule, quickly fill up on petrol for the next meeting and coordinate extra work dates with my partner? 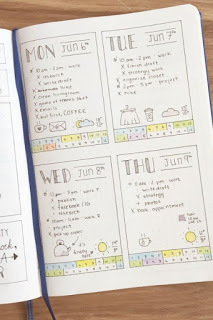 Do I tell them that I am always doing 3 jobs at once and am lucky to have one cup of tea never mind two and that even though I go to a meeting, in my head I am timing when I can complete projects and what words I can use for creativity? Do I tell them that I have to quickly make tea and get my daughter ready for gymnastics, finish a project and drive half an hour to drop off said daughter to gym in a one hour time frame? Do I tell them that evenings are a mixture of cooking tea, bathing children, more washing, putting washing away, cleaning up after children, making packed lunches for the next day, finishing projects and try to stay awake to spend time with my partner? Do I tell them about the children’s competitions we all have to attend at the weekends and the endless emails I have to send in-between shouting words of support? Do I tell them of the tantrums and tears I have to handle, week in week out whilst typing frantically to complete a job I love? Do I tell them all this? My response. I run a marketing business from home. Their response. Must be fun working from home? Editor’s note: I would like to note, that said partner, always helps wherever and whenever she can!